I think the scary thing about decorating is……What happens when “all of a sudden” you realize your tastes have changed and you are sitting amongst items you’ve bought over the years that are just not doing it for you any more? I love so many things I see on your blog, other blogs, magazines…..not so much on TV, anymore, (where did all the good decorating shows go?) …… I know I’m being influenced in a good way ……. but how do you make the switch without breaking the bank? This reader poses a great question! Many of us find ourselves in this same spot. We have a collection of furnishings and accessories that just don’t feel like “us” any longer. Or we want to freshen up our look and we aren’t sure how. Most of us can’t start over from scratch. Creating a style you love out of what you have is oftentimes more challenging for people than being able to start over with a whole new look. Once you have lived with a certain look for a long time it is hard to visualize a way to make it look new again. The good news is that updating your look oftentimes can be accomplished on a limited budget and with just a few simple changes. 1) Start with one room. Don’t overwhelm yourself with trying to makeover the whole house all at once. 2) Find an inspiration photo. It is unlikely that you can duplicate it without starting from scratch, but it can give you inspiration about what you really love. You might discover that you prefer a “spring” room rather than a “fall” room, for instance. Looking at inspiration photos can also break you out of your rut and help you to expand your style options. 3) Ask yourself what you dislike about your room’s current style. Is it too dark, too outdated, too colorful or too boring? Compare your current room with your inspiration photo for clues as to what you don’t like about your current style and contrast it with what you DO like about your inspiration photo. 4) Re-design in a day. If you really want a full makeover, you can start today! Take everything out of the room. Even your curtains if they aren’t your favorite. Yes, this will mean chaos for the rest of the house. Then add things back in one at a time, leaving most of the stuff out of the room. If you just add back a few basic items it will be easier for you to visualize and achieve a new look. 5) Do a mini-makeover. 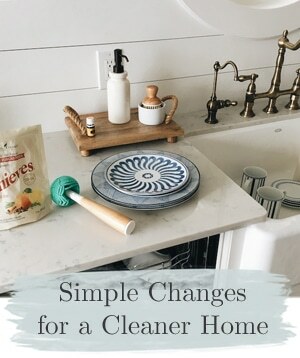 If a full makeover scares you or you do have several things you love, try getting rid of just the things in the room that you really dislike, which usually means they are uncomfortable or ugly or beyond salvage. Definitely remove all the clutter and knickknacks so you can visual the room with a cleaner slate. De-cluttering is the key. The cleaner the slate, the easier it will be to start over with a new look. New paint (walls and furnishings). New stylish accent pillows. Try something new and fun! Throws, even a scarf or piece of fabric can be set over the back of a chair to give it a new look. Inexpensive accessories. Go for less accessories but make them bigger for a fresh new look. Re-matting photos, painting frames or getting new picture frames can be a quick and easy update. Adding in new textures. Textures are often overlooked as a way to change your style. Try pairing new combinations. Put old next to new, shiny next to rough and expensive next to bargains. Use existing items in new ways and move things around to different rooms. Sometimes you can shop in other rooms of your own home to find the new look you are after. But if not, head to your local thrift store, garage sale, resale shop, discount store or department store and pick up just a few fun new things to add to your old look. You’ll be amazed how a few simple additions can make everything look completely different. If your furniture has seen better days, or just simply does not work with your new style, it might be time for some “new” furniture. If you need a new sofa or upholstered chair, you can find often find great deals on name brand quality furniture at upscale resale shops. I recently shopped for a client and found a nearly new Williams-Sonoma sofa complete with updated custom quality fabric that would retail at about $3500, for a REAL bargain of $600. From there, we are building a whole new look for her room and staying within her budget. Sometimes all it takes is one new piece to get the ball rolling. 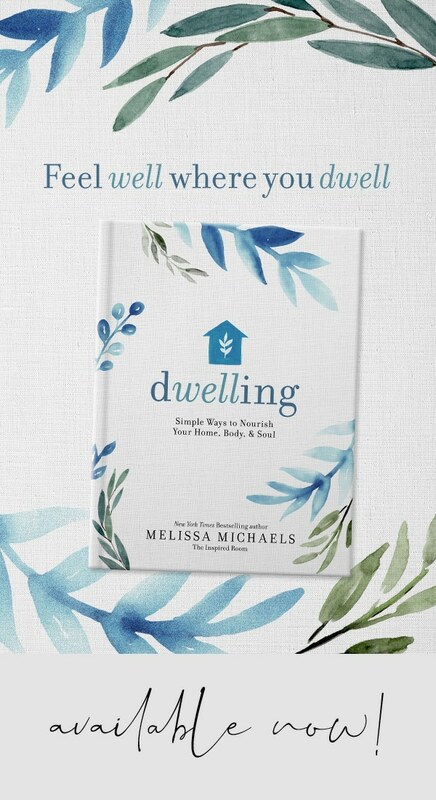 Excellent tips Melissa, taking everything out of a room and starting over is such solid advice, having done that myself several times over the years in my own home, it really works! Also, my mom and I often times will swap furniture and accessories to help in the re-styling of our homes just to mix it up a little. Excellent tips Melissa – excellent – I can add nothing more! fantastic tips Melissa! i love the first one, to do one room at a time, it can all get a bit overwhelming doing more! I’m going to send this to my sister! She is decorating her first apartment after college. Great post! You really break it down and give great advice to make a process that can be overwhelming into an exciting project. Cutting out pictures you like and then realizing what you like about them is an excellent exercise. Your online consulting is genius! I cannot wait to hear more! Thanks ladies! How is everyone today? It is a bit tricky to break the process down in a short and simple blog post. But, sometimes you just need a few tips to get yourself thinking and you can go from there. I do love to help people personally, though, because what looks easy on paper is sometimes more challenging to actually apply to your own house. I can definitely relate here. We bought out family room furniture about 13 years ago, when we couldn’t afford anything, and it is definitely NOT my style. I’m living with it until we get our basement finished, then it will all go down there and I can replace it. In the meantime, I ignore it and concentrate on the rest of the room/house. You are such a wealth of great information! Thank you for your generosity of spirit. 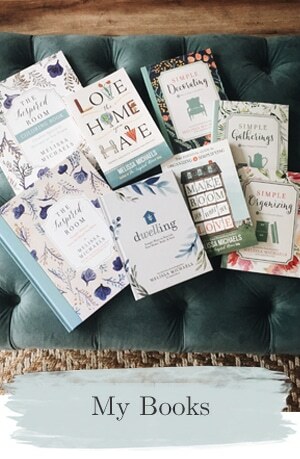 By helping people beautify their homes, you are helping them to be happier, more balanced individuals. I WILL be making a copy of this post to carry with me as I shop. It will almost be like having my BFF with me. Super Duper tips. Thanks! I think that feeling of “overwhelm” is a killer for ideas. You approach sounds like a way to avoid that. excellent tips for raising the likability factor. need i say more. wee! Great ideas! And you already know how I positively love shopping in my own home! Thanks for popping in today Melissa!! Every time you visit me, I remember to visit you and I find the most interesting tips! Today’s is especially timely. We’re going to start painting in May and you’ve given great ideas for our decorating/redecorating! What a wonderful, informative post… great advice! 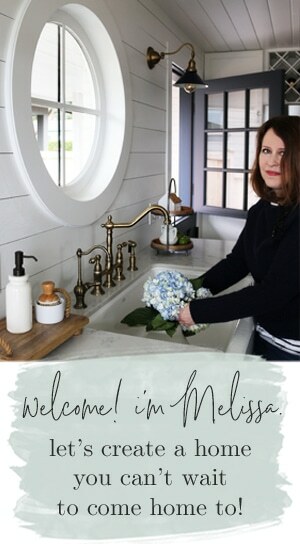 What great tips Melissa, you never rail with the decorating insight! The De-cluttering Tip is a great one, and one that is most often ignored or over-looked. Hey, what do you think about adding photos to this and letting me use it as an article in the magazine? E-mail me if you’d be interested… I’d definitely link to your sites. Great Tips! 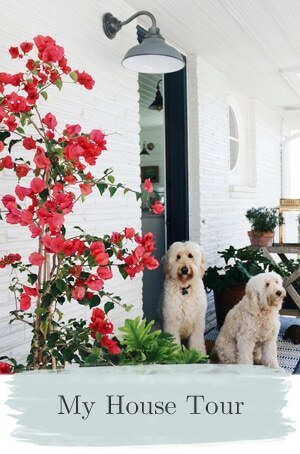 I’m making over my homes look for summer starting next week on my blog. Hello Melissa! 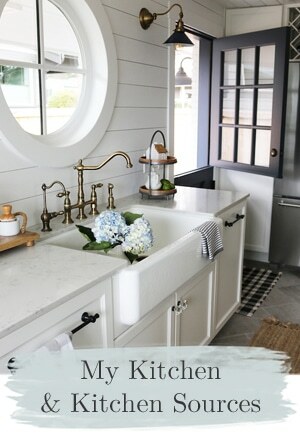 A really great post with some great ideas and fantastic tips–my life is crazy at the moment, but every Spring, I think of redecorating everything, and since there’s simply no time, your suggestions for quick changes are simply inspiring! As usual, your post is full of great tips. Committing to expensive decorating is a little scary (learned the hard way). I hope you’ll let us know more about your “virtual” consultations! Great advice, Melissa! I’m determined that before I purchase one more thing for my home, I’m going to “shop” in my house first. Virtual consulations are a wonderful idea! Such good advice here as usual. We once owned a 125 yr old house and did one room entirely down to the plate switch before moving on…otherwise you are crazy all over the place! What a wonderful and informative post. Great job! It’s great how you break these “big” questions down to bite-sized ideas. Thank you for that! Right on the spot and a real kick!.. Great ideas, Melissa! I’ve also found that sometimes friends will trade furniture for a while, if each has something the other wants. I loved this one! Great advice all around! wonderful tips Melissa, I’m going through that furniture needs a change syndrome right now ! These are AWESOME tips……I’ve tried some of these lately and what a difference. Will be shooting pics of my space soon! All excellent tips Melissa! 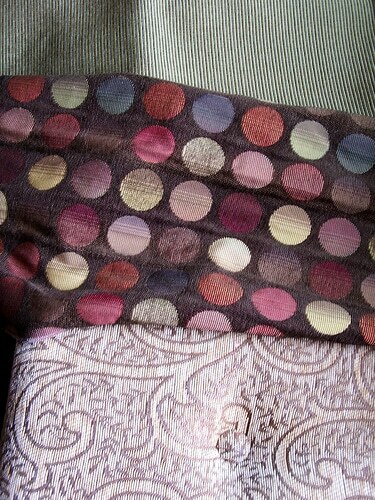 I like especially how textiles and paint can change the look of things. Oh yes, this post is being bookmarked for future reference – I find myself in this situation all to frequently! Thanks!